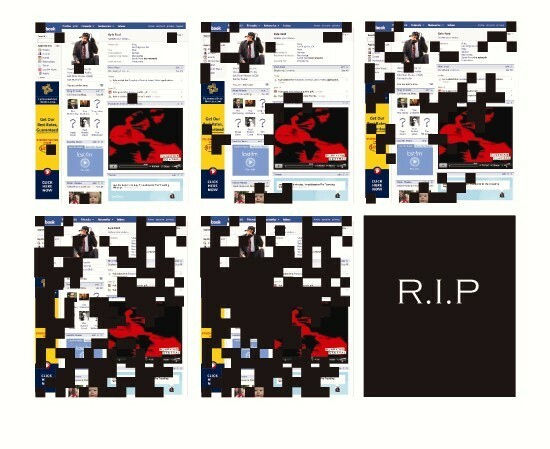 Rest In Pixels is a collection of four speculative design films, which pre-dated Facebook’s introduction of a Memorialisation Mode (2010) and a Legacy Contact (2015). 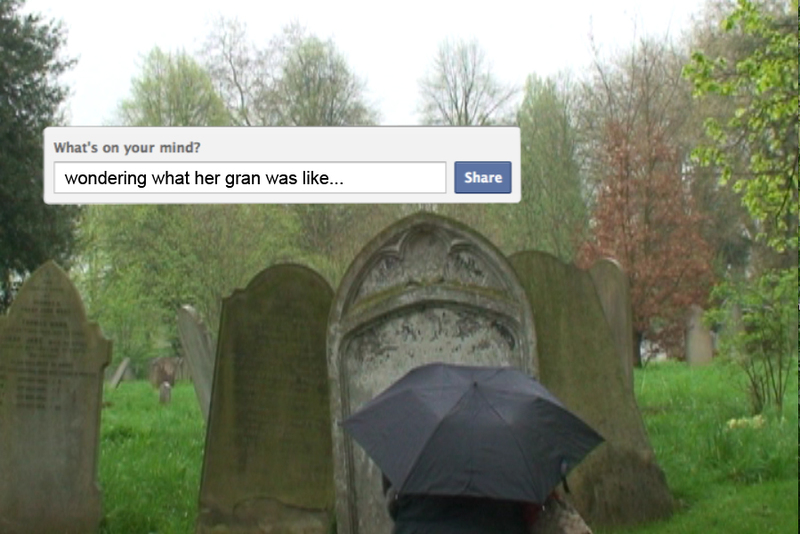 Rest in Pixels explores the use of social media as a vehicle for communal support and bereavement. It narratives the usage of a range of fictional products and systems which would allow people to remember and mourn the dead online. 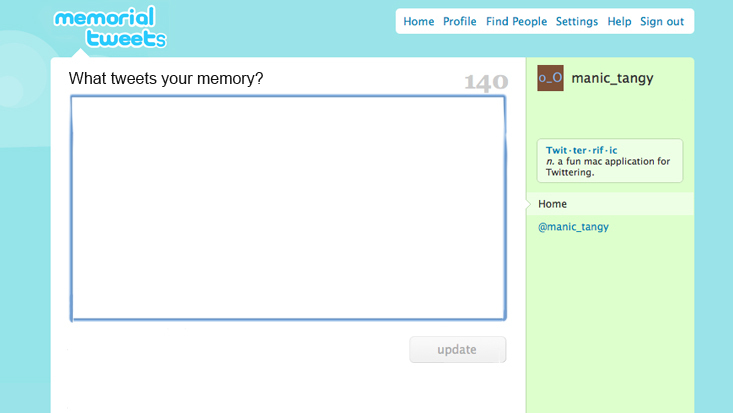 Memorial Tweets visualizes the usage of a fictitious platform linked to popular micro-blogging site Twitter. Through this it explores how the question “What are you doing?” asked by your Twitter profile should be adjusted for bloggers that have passed on. This question should be rephrased so that it begins to ask members of the community to comment on and recount memories of some of the actions that made up a person’s life. ‘Memorial Tweets’ enables this by replacing the question “What are you doing?” with the question “What tweets your memory?” This alteration would allow members of the community to leave short posts, no longer then 140 characters on the person’s profile page. Within these posts you could tag photos, video and other media relevant to your memory. This new version of the person’s Twitter page would begin to allow the community to remember collectively, building up a group-augmented image of the person they all knew and loved. Through the usage of a community, such as Twitter this film challenges the conventions of a spoken obituary; where one person stands up and attempts to tell you who that person was. 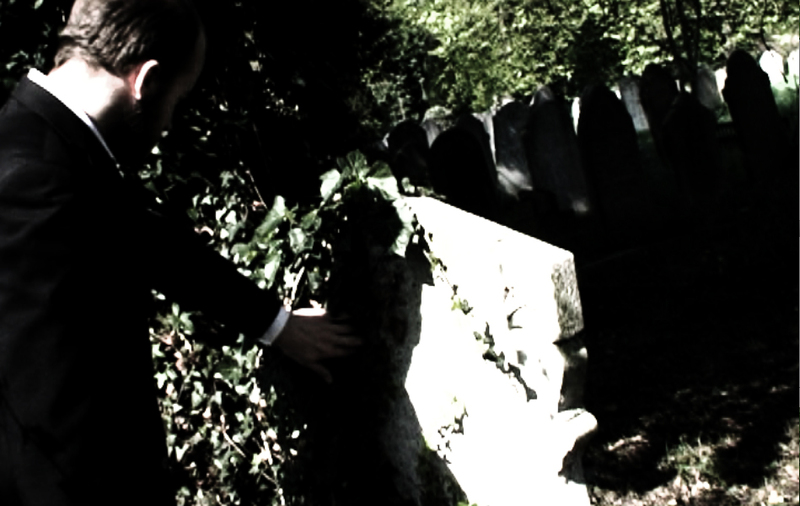 ‘Memorial Tweets’ aids in the dissimilation of this hierarchy and creates an environment rich for remembrance. Avatar Ashes focuses on the relationship of a married couple. This married couple however, differs from most married couples, in the fact that they have never physically met. They were attracted, courted and married within the online platform, Second Life. However this film is not about a couple. This films deals with what happens when one half of this couple is no longer with us. It begins to open questions such as ‘How do we inform virtual friends and loved ones of our passing on, in a sensitive way?’ and does Linden Lab have a responsibility to try to break bad news and offer support to loved ones in bereavement? Avatar Ashes also opens the even bigger question of ‘can a virtual relationship be as important as a physical relationship?’ and if so how can these people be given the opportunity to grieve. It would be inappropriate for these virtual loved ones to attend a physical funeral, as they would be strangers to the people grieving as they have not been part of their physical social network. 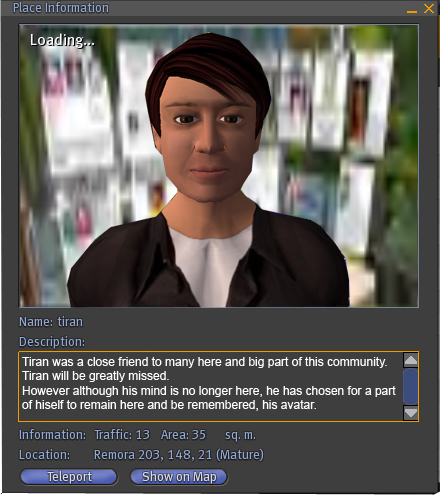 Perhaps the most appropriate form of bereavement for a virtual partner is to say goodbye to that person within the context they knew them, in Second Life. Therefore we begin to look to the avatar body, a collection of pixels in the virtual world, as a gateway to closure. 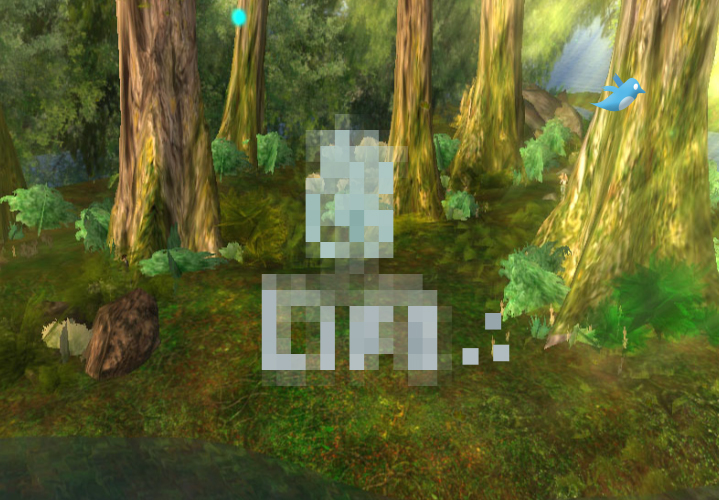 A virtual loved one would be able to move this ‘avatar body’ to a final resting place of their choice and scatter the avatars pixels. The Digital Foundation of Archaeology is a fictitious company from a not too distant future. This company, nicknamed the ‘DFA’ would be responsible for collecting; archiving, updating and curating a database of people’s social networks, after they have passed away. This would allow future historians, anthropologists or even family members to literally look back in time and examine a specific moment of history, pristine and in perfect clarity. The DFA would work through a system where people voluntarily ‘donated their digital selves’ to history. Ad campaigns would be ever present on social networks, encouraging people to make this ‘donation.’ These ads would ask you to consider, how amazing it would be if we could see Leonardo Da-Vinci’s twitter stream as he painted the Mona Lisa, or watch Archimedes update his status after his ‘eureka’ moment. They would offer you the opportunity to join their grand campaign and become a part of the network of human history. However, once donated, the DFA would own all rights to this information, including the ability to publish said information. The film looks both at how this system would work as a method of recording and ‘searching’ history but also at the potential negative reaction of a society that is obsessed with personal privacy.